And what a year 2018 was. We celebrated the end of the Great War but also commemorated the deaths of so many service personel, mainly soldiers, from Huddersfield. The “Tommy” was unveiled on the outside wall of the Transport Gallery. We also had a successful day celebrating the making of cloth in Huddersfield.both in the past and the wonderful textiles that are being produced today. At our Tea & Cake meetings we heard about such subjects as famous local women, the growth of Edgerton and Felix the station cat. We were part of the Heritage Weekend once again in September with a very busy Motorcycle Show. We also had an event each month from May to September in the Heritage Memorial Garden. We are getting quite a following with over 150 coming to the hugely enjoyable performance in the Heritage Memorial Garden by Mikron Theatre. Now the programme for 2019! We already have a full programme of speakers and events for our Tea and Cake meetings on the second Wednesday afternoon in the month. We are serving Cream Teas in the lovely Morning Room to celebrate St Valentine’s Day and Mothering Sunday. An Easter Egg hunt is planned for Easter Sunday. We are drawing up a full programme of events In the Heritage Memorial Garden with a Jazz Band already booked and contact made with other possible groups. On the ‘Friends’ website there is a list of 100 items with a short commentary about each. There are one or two errors and some of the pictures are not very good. This will be redone this year. HELP – Is your New Year resolution to help more in your local community? We, the ‘Friends’ would really appreciate your help with any of the following!!!! Do you enjoy taking photographs ! We are in need of someone to come to any of our events and take photographs. We know we should do it, but we are just too busy!!! Have you any unwanted Christmas gifts that you could donate to a tombola, we hold one at least twice a year and it is a good source of income. I will collect but it would be good if you can get it to the Tolson Memorial Museum – it is still open at the weekends. We have in the past had a series of lectures in the autumn – would you support a new series of lectures? We would like you view! We would value anyone who could come and help serve refreshments at any of our events. 2pm – 3.30pm 2nd Wed in month. Free. Donation for refreshments. All welcome. 9th Jan Colne Bridge Fire, the dreadful tragedy that changed the law. 13th Feb. Legal and financial issues that could affect you? A helpful talk by an expert. 13th March. 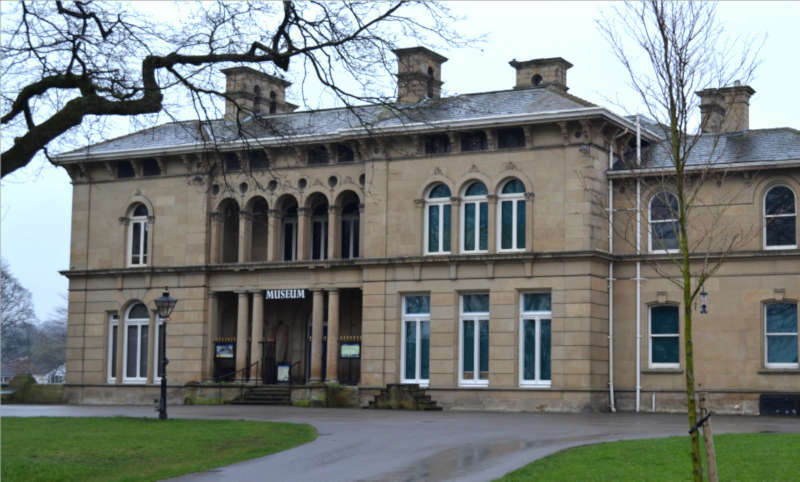 The Story of Hope Bank, Honleys Pleasure Grounds. £5 per person, booking advised. Fancy Cloth was a fabric that was made of wool and other fibres such as silk or cotton. Joseph Etchells , who settled in Almondbury , was famous for his designs of figured silk and woollen fabric. Material, such as this, was used for waistcoatings, dress materials, shawls, table cloths and all kinds of soft furnishings. 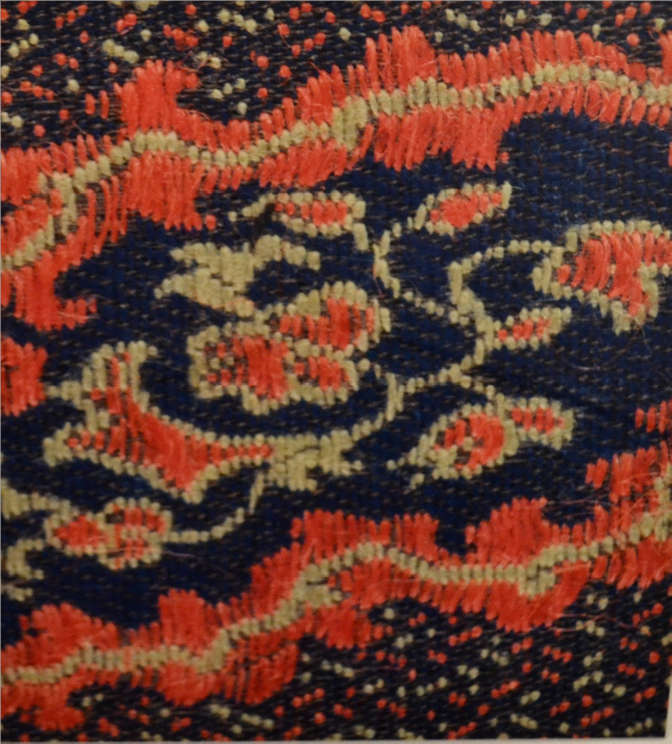 An example of the fancy cloth that won a medal at the Great Exhibition of 1851. One of the many examples in Tolson Memorial Museum. The committee of 'Friends of Tolson & Ravensknowle' meet once a month usually on the 3rd Sunday afternoon in the month. All 'Friends of Ravensknowle & Tolson’ are very welcome to join us. If you want to join us and become a 'Friend', the cost is just £3 for one person and £5 for a couple for life! See how you can get involved.